Grilled Salmon makes for a delicious meal, but you can take ground Salmon and make it into a burger. If you want to make a salmon burger the recipe can be found here. The Salmon burgers ingredients are listed below. 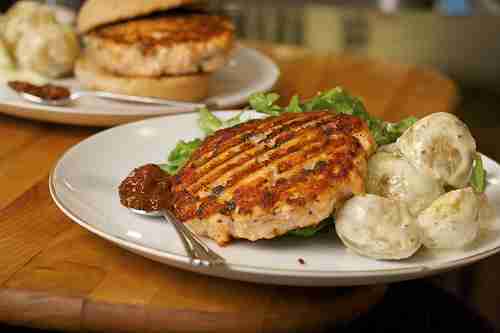 The Salmon burgers ingredients and cooking instructions can be viewed through the link below.